Advertising CBD oil and CBD products on Google, Facebook, or Instagram is a challenge, so you need alternative forms of marketing to be able to market CBD oil online and grow your CBD business. I bet you’d agree with this statement: people are so curious about CBD oil and other CBD products and are currently searching for more information on this new wellness source. Google actually provides the average number of monthly searches for a gazillion different search terms but they do not provide this data for CBD, cannabis, or any marijuana-related search phrases, yet. But I think it’s safe to say there is a huge demand for high-quality information and education about the health benefits of CBD and your potential customers need this information to evaluate the many CBD options. This is why SEO, or search engine optimization, should be a vital element of your CBD marketing plan. SEO is the process of optimizing the CBD content on your website with a relevant keyword strategy so that search engines like Google and Bing can easily index your site’s pages so that they show up on page 1 for popular CBD search phrases. So, if your website can provide relevant information about CBD products, that answer the specific questions potential customers have about CBD oil, you’ll begin to generate highly qualified leads to help you market CBD without advertising! If you’re looking for effective ways to advertise CBD on Google or alternative ways to promote CBD products without advertising, this article will illustrate why SEO is one of the most effective digital marketing tactics to sell CBD online. Why Do I Need SEO To Sell CBD Online? …they most likely aren’t ready to buy CBD right away. However, these people represent future customers to your CBD store. If you can provide them with the answers to their many questions, in the form of high-quality content published on your website, they’ll likely shop at your dispensary when they’re ready to try CBD oil. Relevant and high-quality content builds trust with cannabis consumers. You want your CBD brand to be that trustworthy source. The go-to CBD shop where consumers go to purchase their CBD oils. You may have super great CBD content, but is it being found in online searches? SEO helps your high-quality content get found on Google and Bing when users search for CBD related information. So other than helping to generate awareness of your CBD products what other benefits does SEO offer to help you sell CBD oil on Google? Boost Growth: SEO helps CBD store owners to grow their business by providing fast loading user-friendly websites that rank organically on Page 1 for popular CBD related search phrases. Increase Sales: This makes it super easy for you to sell your CBD products online or in-store to highly qualified potential customers who are actively searching to buy CBD. Generate Awareness: If they’re not ready to buy CBD online right away, SEO still helps you generate awareness and develop trust among potential customers of your CBD products by showing up at the top of Page 1 for CBD related searches. Build Trust: People are instinctively more likely to trust a CBD site that is on the first page of a search results page than other CBD brands who are not. If you’re looking for effective ways to sell CBD oil online, you should consider implementing a comprehensive SEO and keyword strategy to help you build a strong and reputable online presence, bypass your competition, and gain new customers to take your CBD business to the next level. So if SEO helps your CBD content get found online, how do you produce the right type of content? How do you know what CBD questions potential customers are asking about CBD oil? Typically keyword research would show the exact terms and phrases people are using to find your products and services. 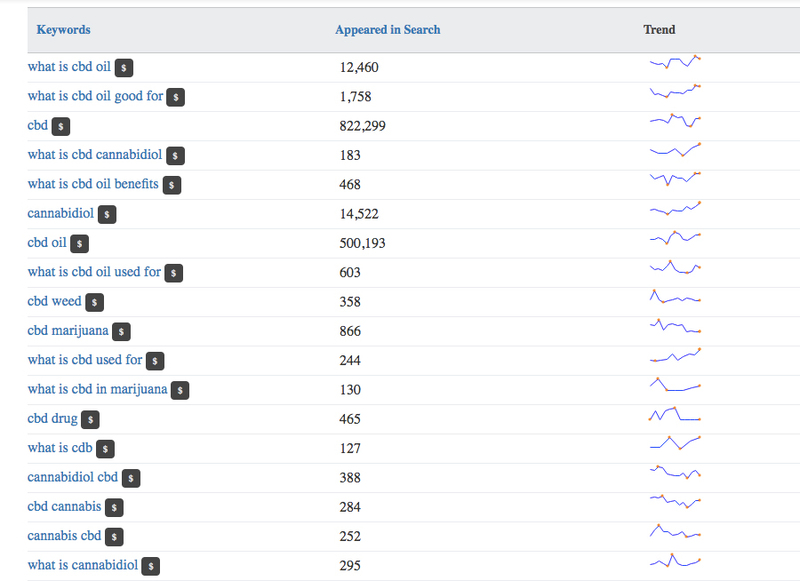 However, Google’s Keyword Planner tool does not provide any keyword research data on CBD, cannabis, marijuana, 420, or weed related queries. Other keyword research tools pull from Google’s Keyword Planner API, so if Google doesn’t provide the keyword research data, the other free keyword research tools won’t have it either. But – I’m a tenacious marketer and was able to find the following keyword research via Bing. As you can see by the number of search queries for “what is cbd” in the United States since Oct 26, 2018, people are super curious CBD oil, what it is, what its benefits are, and where they can buy CBD online. If the phrase “what is cbd oil” appeared in Bing search 12,460 times in the last the 3 months imagine how many times it was used in a Google search. Bing holds approximately 33% market share in the US. Google has the rest. The point is that people want credible and high-quality information on CBD oil and they clearly are searching for this information online in search engines – not on social media. SEO is all about driving traffic from search engines via organic searches. 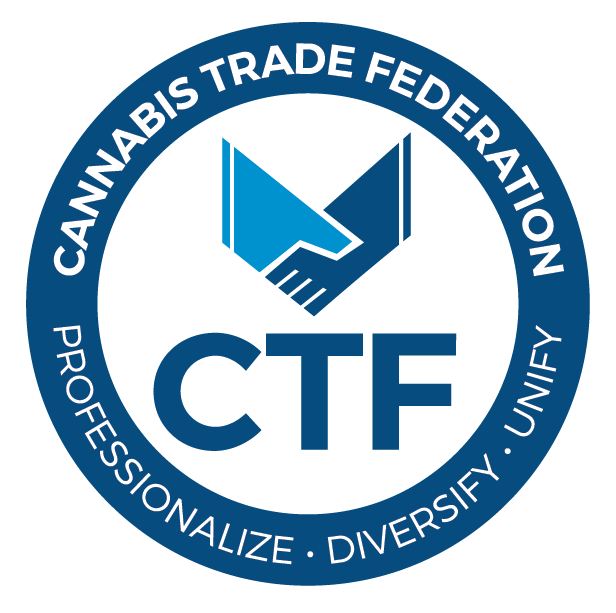 If you want to get these potential customers on your website or in your retail CBD store you should create SEO optimized content educating people on CBD, what it is, what CBD oil is, and why it benefits human beings. When users search for information on CBD using terms like “what is cbd oil”, “what are CBD oil benefits”, and “what is cannabidiol”, you want them to find your content on Page 1 so that they’ll end up on your website and not on your competitors. This is how content marketing, keyword research, and SEO work together to help you sell CBD oil on Google. Keyword research is how you can create the right content that answers the questions your potential customers have about CBD oil or CBD products. By tracking the above KPIs, you’re able to fully understand if your CBD SEO strategy is effective or if it needs improvement. As mentioned, you need Page 1 rankings to drive a qualified and potential CBD customer to your website or retail store. You need to make sure your content has an edge over your competitor’s content in order to attract that potential customer. Check your Google Analytics data to identify the KPIs listed above. Look for things like the number of visits vs the time spent on the landing page or website. If you have a lot of visitors and time spent on your site is also high, you’re doing very well. If you have a ton of visits but the time spent on the landing page or on the overall website is low, then there is a huge problem. Your content is ranking well in search engines and people are clicking and coming to your site but they are leaving instead of browsing or buying. If you’re not getting a lot of clicks or a lot of time spent on your site, there clearly are other issues with your content marketing strategy and your SEO strategy. If you have any questions when it comes to interpreting the data from Google Analytics, I’m a master when it comes to data analysis and I am Google Analytics certified. Please contact me by visiting ColaDigital.ca.